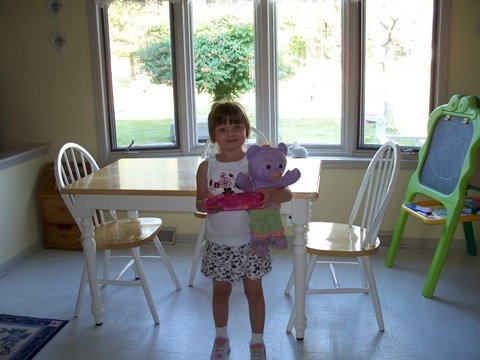 Here is a picture of Valerie before leaving for school. With her, is her favorite little bear–I forget its name! Sorry Valerie! Here is a picture of Heather–very happily greeting big sister Valerie after her day in in school. Good to see you here. I have missed you so very much!